Every once in a while I get a crafting bug. Unlike other bugs, staying in bed and drinking lots of fluids is not an appropriate way to get rid of it. The only way to get rid of a crafting bug is to craft. This time around my sights were set on notebooks. 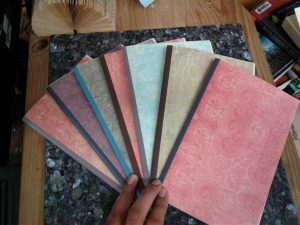 I have played around with different methods of making notebooks in the past, but this time I picked a method and stuck with it… okay I picked two methods (decisions are hard), stuck with them, and made two different types of notebooks. The first method was for composition style notebooks. They were made using a simple saddle stitch, and I have found them to be the perfect size for using at my writer’s group. Also, these 60 page beauties are nice and light so they are good for when you’re on the go but don’t want to be without a notebook. 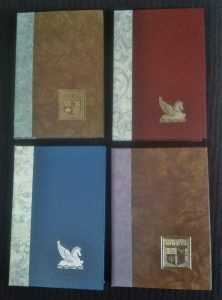 The second method was for perfect bound hardcover notebooks. 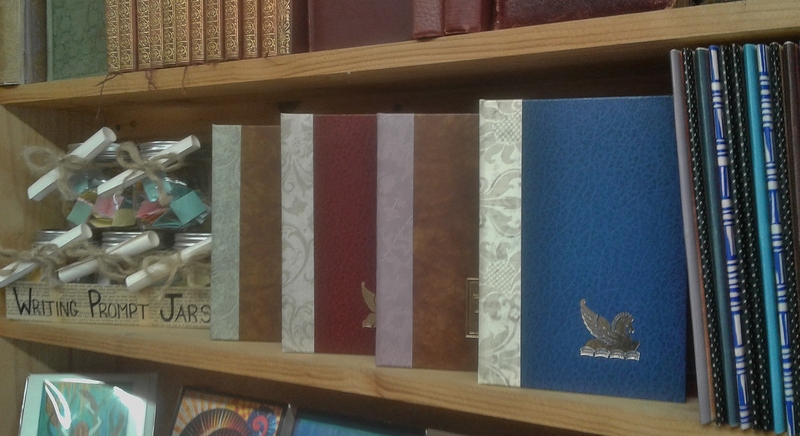 These 200 page notebooks are made with the re-purposed covers of old Readers Digest condensed books. To be clear, before I bought the bookstore, I never would have dreamed of re-purposing in a way that ruined the actual book. 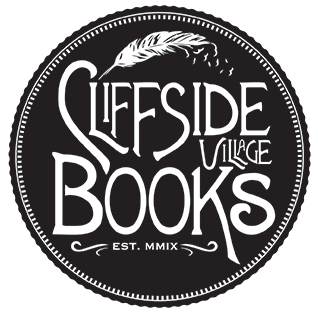 After coming to grips with the sheer volume of books missing pages, missing covers, or with water damage, excessive marginalia, and other such damage that makes them unsaleable, I changed my views. At the end of the day, I would much rather re-purpose a book then throw it out. Previous crafting bugs have turned out tables, clocks, coasters, and business card holders to name a few. 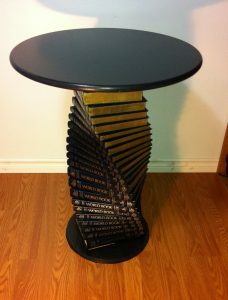 Encyclopedia table. For this project, I hollowed out the encyclopedias so it would weigh less than a tonne, ran a metal pole through it for stability, and attached the base and table top. 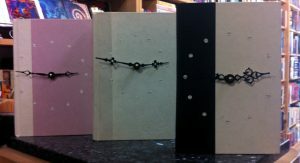 Book clocks! This is a fairly simple project. All you need to do is hollow out enough space for a clock mechanism, and decorate the clock face according to taste.